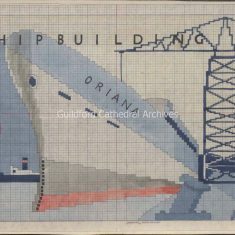 3 patterns for the Shipbuilding Kneeler, all on card. 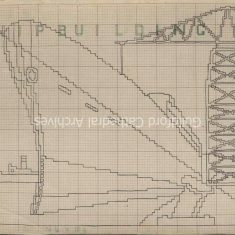 a) and b) are copies of pencil and pen outline drawings, fully coloured with watercolours, c) is a pen outline drawing on squared paper. 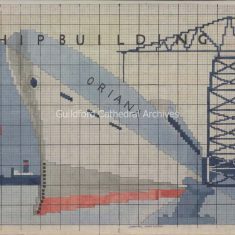 The design shows a large ship with the name “Oriana” and a smaller boat in the background and a crane to the right. 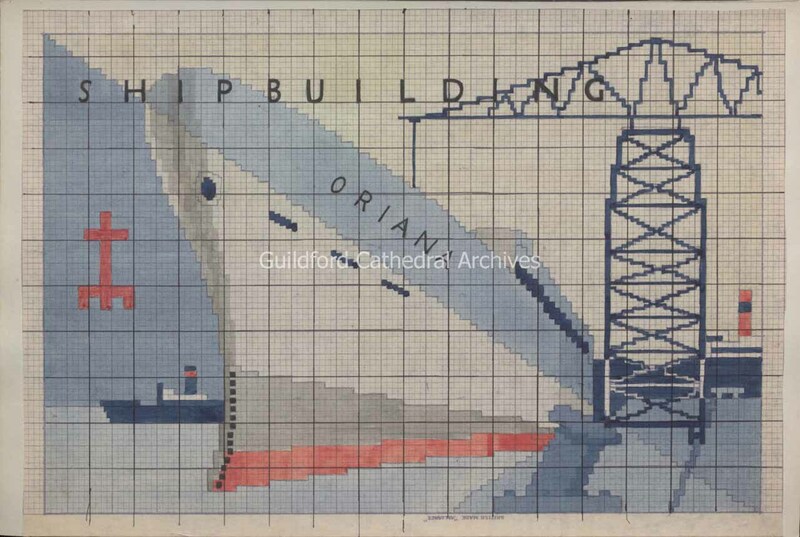 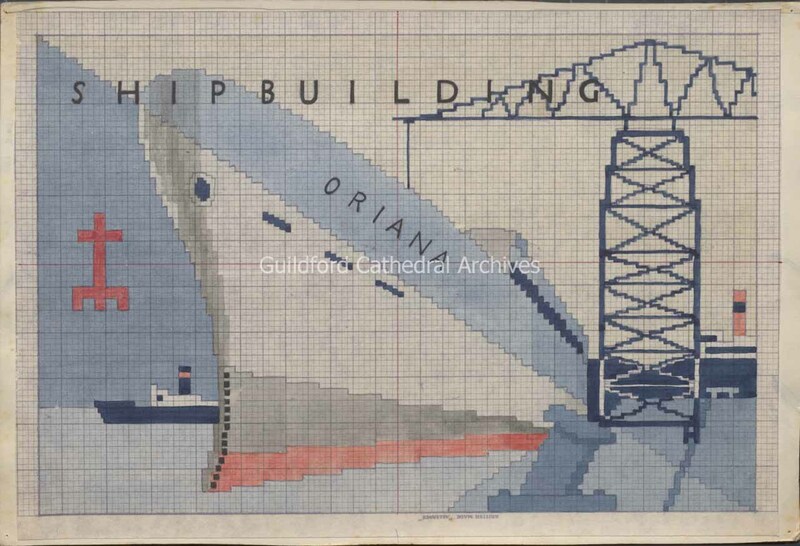 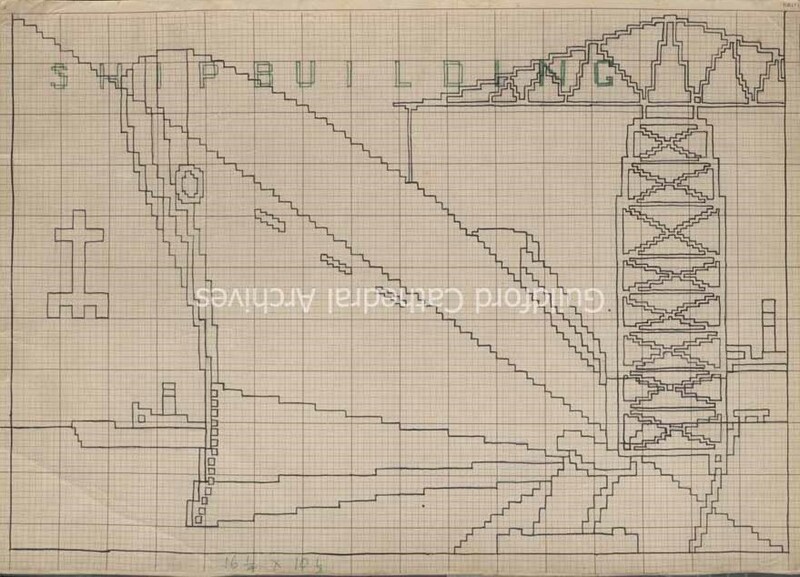 The cathedral plan appears on the left and the word “Shipbuilding” appears at the top.